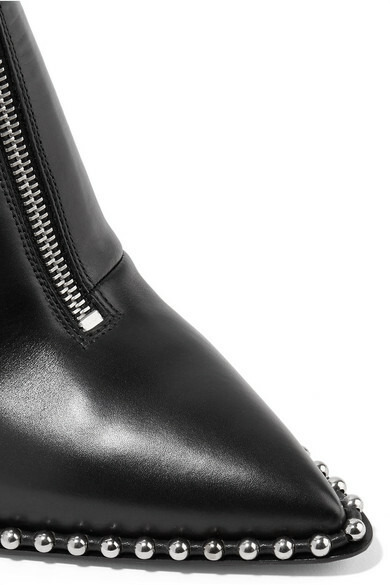 We knew Alexander Wang's 'Eri' boots were destined for cult status the moment we set eyes on them. Set on a pin-thin heel, this leather pair is framed with the label's signature silver studs to accentuate the sharp pointed toe. The slim profile is perfect for tucking under straight-leg jeans. Shown here with: Theory Top, Helmut Lang Dress, Givenchy Clutch, Falke Tights, Sophie Buhai Earrings.